D.Kimm is the author of four books, and Le Silence des hommes, a CD collaboration with guitarist Bernard Falaise. She’s appeared on countless stages and helmed two full-length performances, Chevale (1990) and La Suite mongole (1999). She appeared in a duet with dancer Louise Bédard in 1994, and has worked with a string of collaborative performance groups like Le Band de poètes, Brahmine, Erlenmeyer, and Mankind (a ‘spoken noise’ duo with Alexis O’Hara). 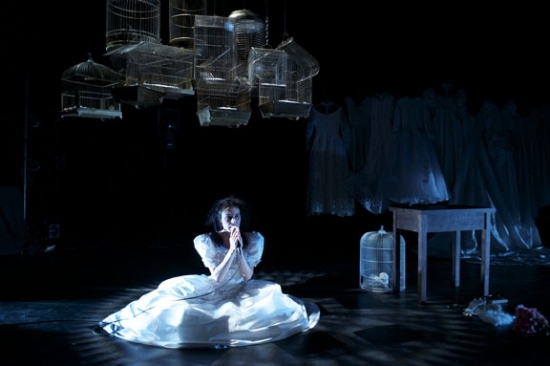 Her interest in the staging of her own productions, incorporating musicians, lighting and movement, has led to an impressive C.V. as artistic director of literary events for the Union des écrivaines et écrivains québécois, the Festival de la littérature, Write pour écrire, the Festival international de littérature and many others. As director of Les Filles électriques, she creates multidisciplinary events based on oral and written literature. Les Filles électriques produces the international Festival Voix d’Ameriques, which celebrates its tenth anniversary in February.